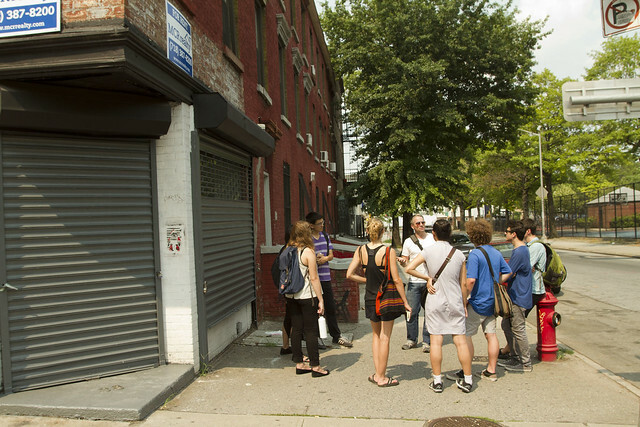 William Powhida led an afternoon walk to the remains of the Williamsburg gallery scene. Charting a rapid rise and fall, and loss of community. Powhida emphasized the importance of Bushwick learning the lessons from the mistakes made here. The photo above is the start of the walk, in front of the former site of Dam Stuhltrager, a gallery that left for Berlin. Sitting on the steps of the defunct Roebling Hall gallery Powhida told stories and talked to the participants about the importance of community. The building is now luxury condos. 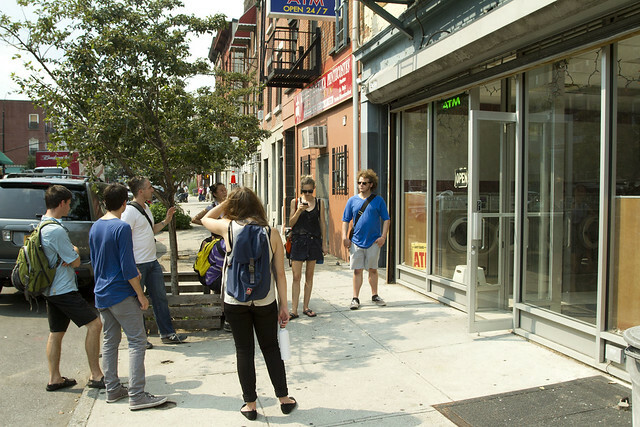 In front of the former space of Bellweather, a gallery that moved to Chelsea before closing. The space is now a laundromat.